“The Future Of Environmental Law.” has been republished from Dr. Meinhard Doelle’s blog, Environment Law News. Environmental law addresses interactions between humans and the natural environment, and ways to limit human actions in order to protect the environment. Conversely, environmental law does not focus on human-to-human interactions or economic transactions. Matters having to do with corporate law, tax, and business are generally not included. It is only recently that energy law—including fossil fuel extraction and electric utility regulation—has been considered alongside or even linked to environmental law. Environmental laws address narrow targets with narrow solutions. For example, the ESA creates a mechanism for protecting individual species. It was not intended to create a mechanism for considering bigger questions (i.e., how do we protect biodiversity?). Environmental law is furthered by liberal white activists. Environmental law is not relevant to conservatives, people of color, or people living in urban settings who do not like the woods. Things will continue to get more complex but hidden in the complexity are opportunities to achieve things that were unthinkable before. Emerging technologies such as blockchain and AI illustrate this, as they have the potential to put a stop to misinformation about the environmental and social impact of products and services and encourage a race to the top. They have the potential to put a stop to planned obsolescence, greenwashing, and consumer misinformation. However, they will not do so unless directed to. They will only do so if those who understand the seriousness of the sustainability crisis identify these opportunities and get involved in making them happen. 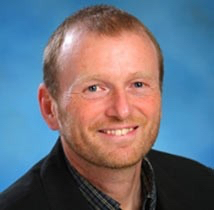 Dr. Meinhard Doelle, Professor of Law, Schulich School of Law, Dalhousie University, has graciously agreed to join the CEGE Connection conversation and share his insights on climate change and environment law. We highly recommend a visit to Professor Doelle’s Blog: Environment Law News, which provides vital information that speaks to the complexities of environmental and energy law, climate change, GHG emissions, and the role of human rights in these areas of enquiry. “Negotiating the Paris Rulebook: Compliance in Transition.” has been republished from Professor Doelle’s blog, Environment Law News. Professor Doelle specializes in environmental and energy law, with a focus on climate change and environmental assessment processes. He has been involved in the practice of environmental law in Nova Scotia since 1990 and in that capacity served as drafter of the NS Environment Act and as policy advisor on the Canadian Environmental Assessment Act (1992). Professor Doelle was a non-governmental member of the Canadian delegation to the UN climate change negotiations, 2000 – 2006. He continues to follow the negotiations as an official observer. Professor Doelle was a visiting scholar at the Environmental Law Center of the IUCN in Bonn, Germany, 2008. He co-chaired a strategic environmental assessment on tidal energy in the Bay of Fundy from 2007 to 2008, served on the Lower Churchill Joint Federal-Provincial Review Panel from 2009 to 2011, and co-chaired a provincial panel on aquaculture from 2013 to 2014. Professor Doelle’s teaching within the law school has involved courses in environmental law, energy law, climate change and contract law. He has also been involved in interdisciplinary teaching outside the law school, most notably at the College of Sustainability, where he co-taught a course on Humanity in the Natural World from 2009 to 2012. Dr. Meinhard Doelle: Decades of Climate Policy Failure in Canada: Can we Break The Vicious Cycle? “Decades of Climate Policy Failure in Canada: Can we Break The Vicious Cycle?” has been republished from Professor Doelle’s blog, Environment Law News. Canada eventually withdrew its ratification of the Kyoto Protocol, and in the process did very little to reduce domestic emissions compared to most developed and even some developing countries. In spite of agreeing to provisions in the Paris Agreement that recognize the gap between individual commitments and the collective goals and call for an increase of effort over time to meet the collective goals, Canada continues to show no willingness to increase its commitment by revising its NDC. There is no credible evidence that Canada, as a whole, will benefit from resisting this transition. There are strong indications to the contrary even in the short to medium term, and the combination of the cost of inaction and the economic opportunities associated with action leaves little doubt about the net economic benefits of decarbonization in the long term.